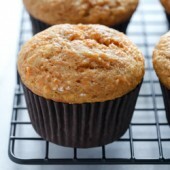 A small batch recipe for moist applesauce carrot cake muffins. A healthy and flavorful breakfast or snack! Every so often when I’ve gone grocery shopping, I’ve wished I brought headphones so I could shop and listen to music. Sure, some stores play music, but it’s not always something I want to listen to…especially if it’s September or October and Christmas music is already playing. Maybe it’s silly to want to listen to my own music. Maybe it seems rude or like shutting out the world. But I think it would make shopping more enjoyable. It’s not like I have conversations with people when I’m out shopping anyway, unless my kids are with me… or the occasional greetings with familiar faces, but nothing drawn out. Have you ever done this? I feel like it needs to become a thing. Also, I keep going through phases where I have a favorite song. Something new (to me) or random will come on one of my Pandora stations and then that’s all I want to listen to. Of course that means seeing if Amazon Prime or YouTube has it so I can get my fix. Yes, I realize I could switch music service apps, but I’m content with what I have for the most part. So anyway… my latest song obsession is “Stand by You” by Rachel Platten, who also sings “Fight Song.” Such a fun song and I just realized that the entire album is free to stream with Amazon Prime. Yay! Pretty sure this needs to be the music for my next grocery trip. I’ve been craving Spring food since the start of the year. I know it’s kind of crazy since I’m jumping straight over the rest of January, February and part of March to get to something we’d see closer to Easter, but I had a craving and couldn’t resist it any longer. Plus, since these are loaded with carrots, they’re basically good for you so they should be allowed all year long… especially when you’re trying to eat healthier… right? Right. This small batch recipe for moist and flavorful applesauce carrot cake muffins is an absolute must make. They’re the perfect breakfast or mid-morning snack. And you’ll likely want to make a double batch since they’ll disappear so fast! They’re that good! My family gobbled these up and I’m sure yours will too! 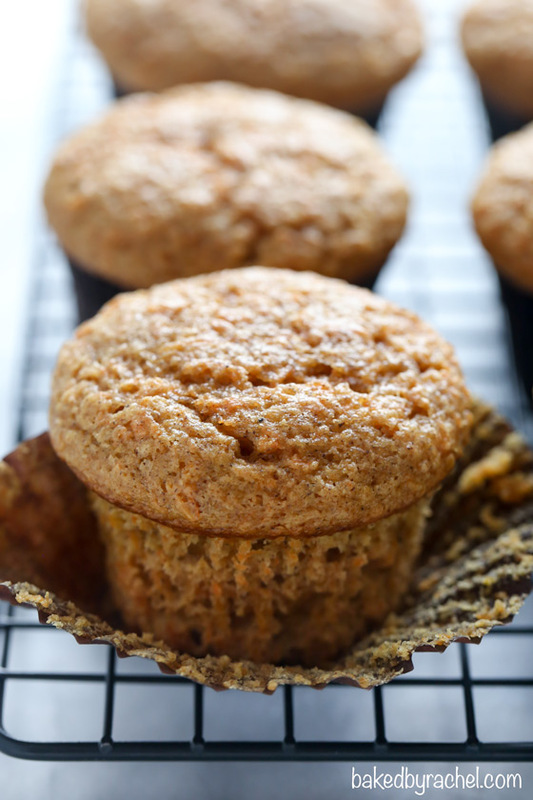 Moist applesauce carrot cake muffins perfect for the entire family! Be sure to add these to your weekly baking plans! Preheat oven to 350°F. Line a muffin pan with six paper liners. Finely shred carrots and chop well to eliminate any large pieces. In a large bowl or stand mixer, beat together applesauce, vegetable oil and sugars until fully combined. Mix in egg and vanilla, followed by carrots. Scrape the bowl as needed. Add remaining dry ingredients, mixing well until no streaks remain. Divide mixture evenly between prepared paper liners, adding 1 heaping large cookie scoop per liner. Liners should be nearly full. Bake for 20-22 minutes or until a toothpick inserted comes out clean or with just a few moist crumbs. Cool in pan for several minutes before removing to a wire rack to cool completely. I LOVE rachel platten! i always forget about Amazon Prime streaming..I need to take advantage. I want a whole batch of these muffins! They seem so fluffy and moist and full of flavor! She’s so fun and yes, you need to remember to use it more! You’ve just combined two of my favorite baked good flavors—apple and carrot cake! And for breakfast. Hooray! Me too, Kristen! I’m ready for Spring in a big way! Oh yum, these muffins sound wonderful! I would love one for breakfast! Hi Rachel! For the carrots, is it 3/4 c after shredded? If not, about how many carrots would be 3/4 cup? Thank you! 3/4 finely shredded carrots. The number of carrots will vary depending on their size, so be sure to still measure, but it should be roughly 3 carrots. Thanks so much Heather! And yes having the whole store to ourselves would be fantastic. So much quieter. 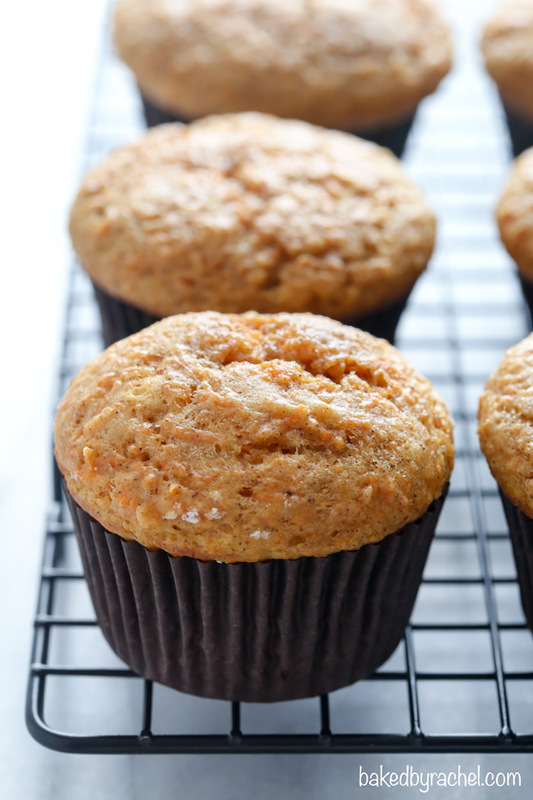 Carrot cake is my favorite…love this healthier version made into a breakfast treat! 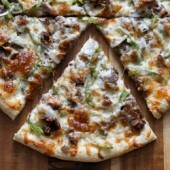 I have been craving spring flavors too!! Lemon all the things! 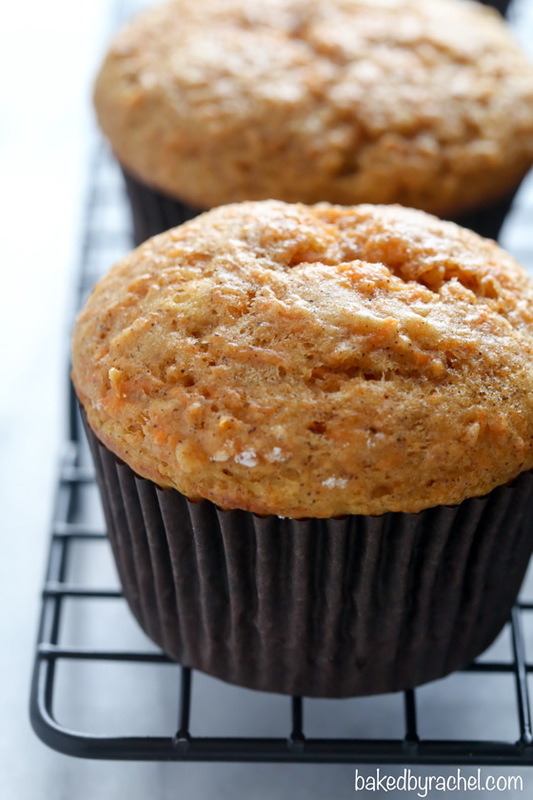 These muffins are so going to happen in my house, I know my kids (and I) will devour them! These look delicious! A couple of questions before I make these – is the applesauce unsweetened, and is the brown sugar packed or not? Thanks! Lightly packed brown sugar is fine. Feel free to use whatever applesauce you have on hand. Thanks for the great recipie Rachel! 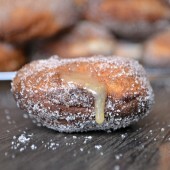 Would it still work fine if I substituted 1/4 cup maple syrup for the granulated sugar, and dark brown sugar instead of light? If you’re familiar with those substitutions, then you could definitely give it a try. The only issue that you may run into is with the maple syrup, as it’s not a 1:1 substitution and there are already several liquid ingredients. I can’t say for sure that it will work well with this particular recipe. Can these be made with whole wheat flour instead? If you’re comfortable with doing so, then I’d say it’s worth a try. If you’re not familiar with how to best substitute flours for each other then I’d recommend sticking with the recipe as written. Do you recon that if I made these they’d freeze ok? I’d love to use them as a treat for my daughter’s first birthday party but will be very busy in the days leading up to the party! If you’re familiar with how to properly freeze baked goods, then it would be worth trying. I think they will be fine if wrapped properly. Good luck! 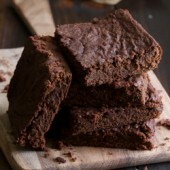 I just made these and they turned up lovely fluffy and moist. I would recommend adding a bit less sugar than the recipe calls for, since these were a bit too sweet for my taste (and i used homemade unsweetend apple sauce). Also add some nuts or raisins for additional nutrition and crunch. Definetely a winning recipe. Unfortunately mine stuck to the paper wrappers I baked them in… Does anyone know a way to avoid this? What causes it? Thank you. My best guess is it’s the specific liners you’re using. From personal experience, the liners often found in stores aren’t high quality and will cause issues, such as what you’ve experienced. If you’re unable to find liners that work for you, silicone cups would work instead. You could also spray the muffin tin and use as is, without liners. I doubled recipe and used whole wheat flour and used oil instead of applesauce because I didn’t have any. Cooked them 18 mins they came out nice and moist but I can’t smell or taste any of the spices and I even added a touch more of each. So next time I would double spices and see if that increased flavour. I know applesauce may have added some flavour but was also worried they would be too dry as I like a super moist muffin! My son just tried them and loves them and he’s who I made them for so all is good. For family I would still add more spice 😊Thanks for the recipe!